Nate has a home to call his own! We have a winner for the Nate fat quarter collection. And that winner is Katy! Congrats! This is for the Child’s Play with Nate cotton collection. There is still the flannel collection that I have not done a drawing for, and if you like this idea maybe I can do a few more fabric-freebies for you good, creative peeps. 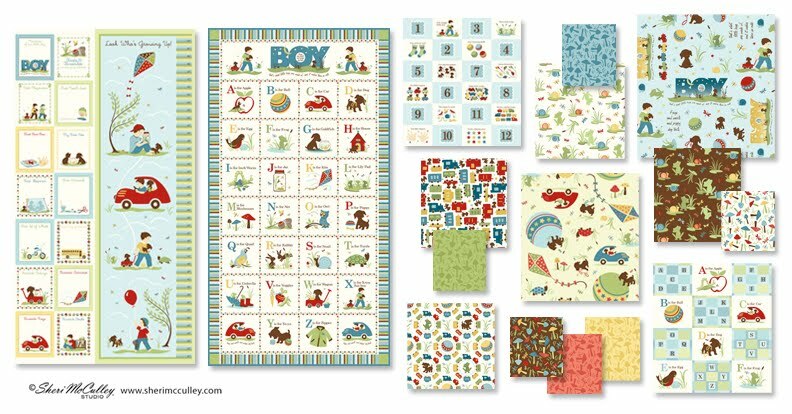 Don’t forget that I also have a drawing that I will be doing for the Child’s Play with Kate, the flannel fat quarter set, and that is happening on my new Facebook page called Sheri McCulley Studio. So, if you still want to enter that drawing go to my FB page and comment on the Kate collection there. Once I have 100 “likes” on my page I will have that drawing. Also, for you fabric lovers, I do expect to see the little Woodland Tails animals filling the quilt and fabric shops any day now. The collection is due out in stores in February, and well, that’s only a day away. I have not gotten my own samples yet, but maybe once I do we can have a give-away for that collection as well. Woodland Tails is one of my all time fave collections and I am very excited about its debut in the fabric world. So stay tuned and maybe these little woodland animals will be gracing your presence soon. It’s time for me to start shering some of my fabric collections with you. So . 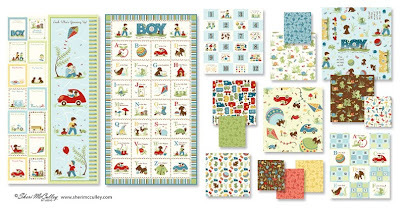 . . how about we get a few more bloggers to join my new Sheri McCulley Studio blog and once we do I will give the Child’s Play with Nate (cotton collection) to one lucky winner. You will get a set of fat quarter prints and at least one Nate panel. You will have plenty of prints to work with and might even have enough to sew them into some SherWear for a lucky little guy in your life. Please note that the image above is of the complete Nate collection, both cotton and flannel, and not all will be given in this drawing, but at least half will. Once I have 100 members on this blog (only six to go) I will have a drawing. Here’s what you need to do to be in the drawing~just comment on this post. As soon as we reach the 100 mark I will collect the comments and draw a winner. 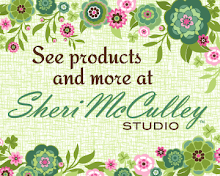 You do not have to join my blog to enter, just leave a comment and ~ don’t forget to encourage your friends to check out my new Sheri McCulley Studio blog, website and yes, even my new Facebook page, because I have fabric give-aways going on there too. Fill free to join the fun there as well! 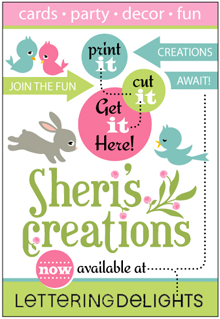 Since getting into licensing about five years ago, I have branded my licensed products with the name and logo of “Sheri Berry,” based on my childhood nickname. As my licensing partnerships have grown across product categories and even international boundaries, I’ve discovered that this short, rhyming phrase is similar (though not identical) to names used by other people and companies in what has become an interconnected online world. 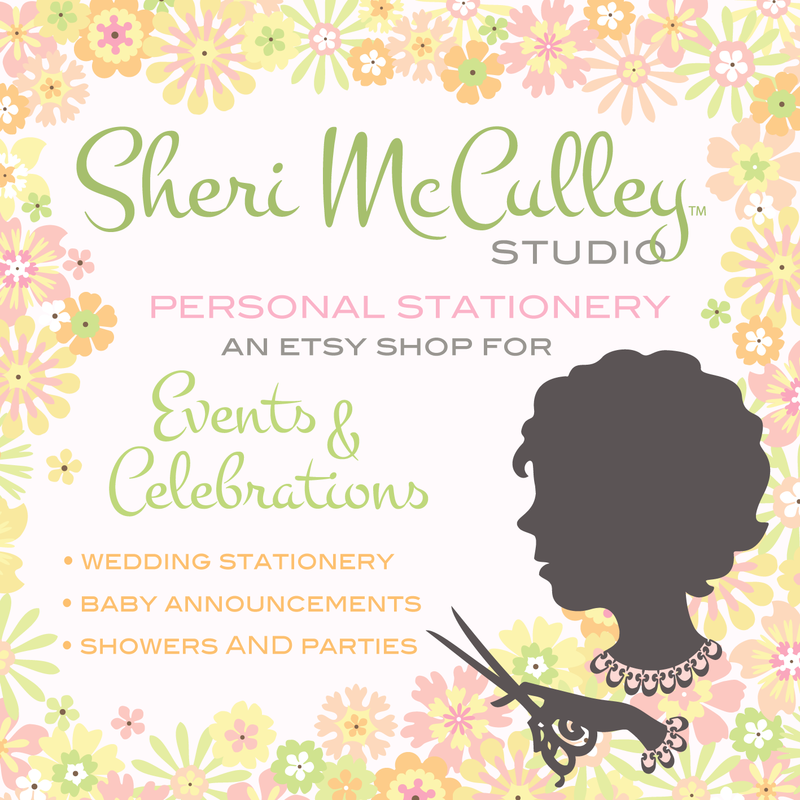 So as the number of products with my designs continues to expand, and the importance of creating a distinct identity has grown, I’m returning to the other name my family gave me: Sheri McCulley. The name may be a little different, but the distinctive look and style of original patterns, illustrations, and products I create will remain. 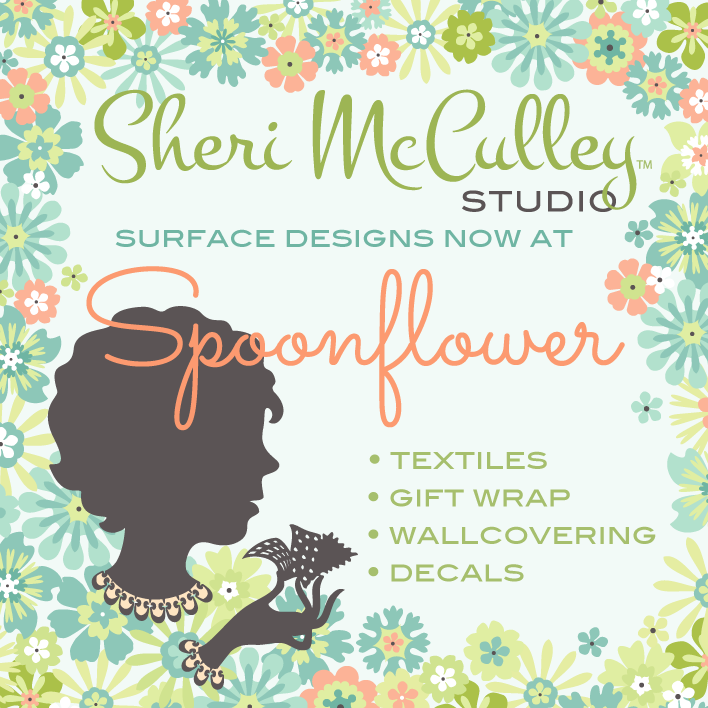 When you see the Sheri McCulley logo, you can be sure it’s by the same little girl who used to be called “Sheri Berry” as she sketched and cut, folded and colored at the kitchen table. 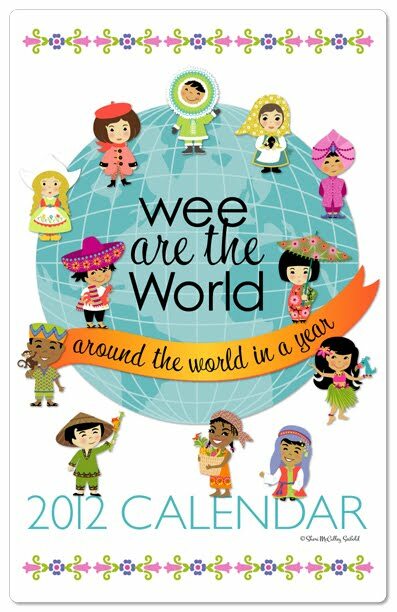 As many of you know I have been working on the Wee Are the World collection for exactly one year now and I am delighted to say I am finally done just in time for 2012. 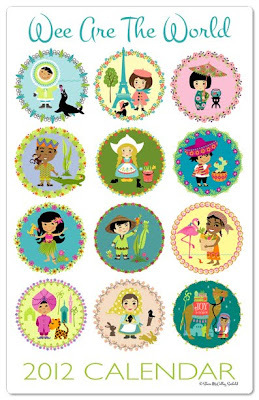 I have created twelve children from around the world, each with their own scenes, animals, patterns and traditions. I will share the newest collection sets with you soon. 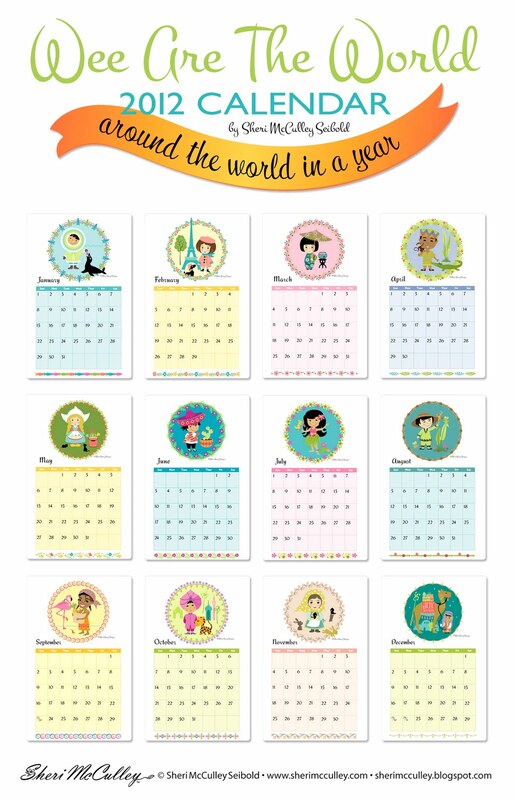 I have also given each wee child his or her own month to share with all throughout the year. I thought it better to have two styles, for two different designs, for all the different people of the world. These will be available through Lettering Delights graphic sets, which will be easy to print and hang each month for the entire year. 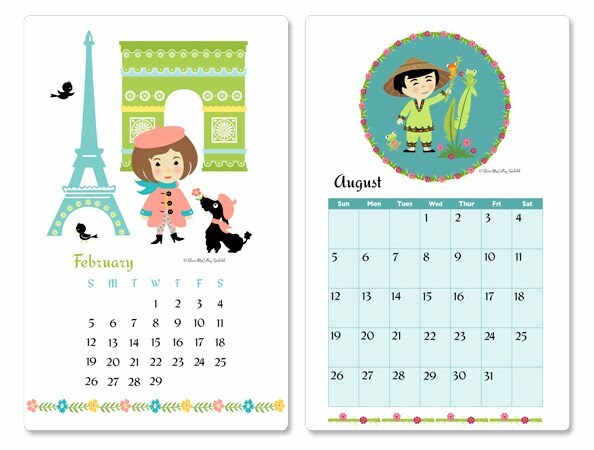 The first calendar style has a scene with the month and days in a basic non-lined calendar. 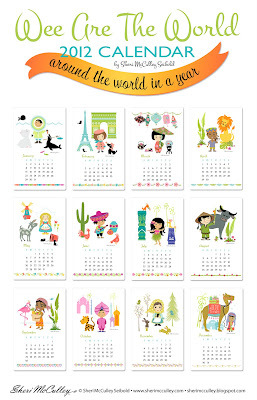 Each month can be printed on an 11 x 17 or reduced to fit an 8.5 x 11. In the image above you can see what each month looks like. The set will also include a cover design of the children around the globe (as seen at top). The other calendar style has the characters within a circle at top with the month and days in a basic grid calendar below. 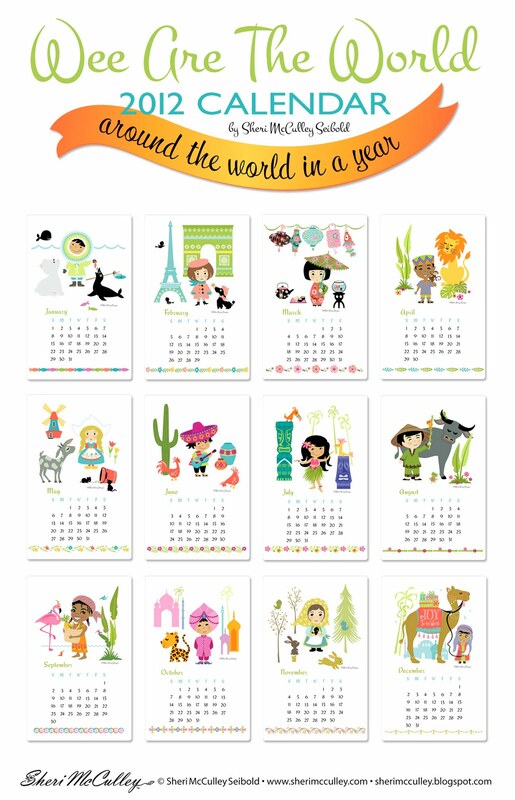 Each month can be printed on an 11 x 17 or reduced to fit an 8.5 x 11. In the image above you can see what each month looks like. 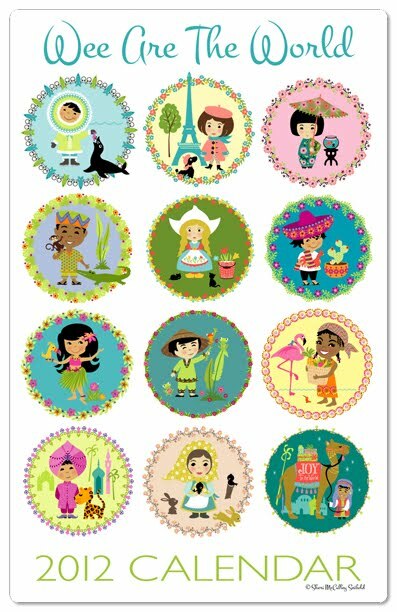 The set will also include a cover design of the set of children in their circled design (as seen below). As I was working on the calendars it became apparent that I needed to make a grid style as well as the other, as some people prefer boxes for specific notes and appointments. 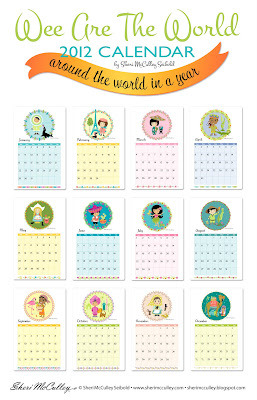 You can choose either or both, as you might just need calendars in many different places of your world. To get these calendars at LD just click here or go to my Sheri’s Creations sign at top right, which will take you directly to the calendars on the LD site. Above are samples showing one month from each calendar style. These samples show rounded corners (which I prefer), that can be made after printing with a .25" corner punch. Remember, you can share the joy of the new year with family and friends by also sending them on this year long trip around the world to enjoy the wee people who inhabit it. It might even be one of the happiest trips they’ve ever taken.